Perhaps. But it’s also true that, at pivotal points in her journey, Tothova was recognized as a person of exceptional promise, with mentors encouraging her and taking extra steps to open opportunities. Tothova heads a lab, sees patients, and advises students in the Harvard/MIT MD-PhD program of which she is a product. Her research focuses on the biology, genetics, epigenetics, and treatment of blood cancers, especially myelodysplastic syndromes (MDS) and acute myeloid leukemia (AML). Tothova employs cutting-edge techniques such as CRISPR gene editing to create new types of animal models for studying cancer. She investigates structures called cohesins – which act as epigenetic modulators – that help organize the genetic material in cells’ nuclei, and which often are mutated in cancer. An experimental drug that targets mutated cohesins will soon be tested in a clinical trial, involving blood cancer patients who are not candidates for chemotherapy. “For the first time in my life, I have been involved in a project all the way from basic biology to conducting a clinical trial with a drug that modifies that biology, and that luckily for us, is already approved for another cancer indication” and therefore can be administered to MDS and AML patients in a phase 1 trial, she says. Born in Slovakia in Central Europe, the child of academic physicists, Tothova came to the United States at age 16 as an exchange student at a New Jersey high school. Speaking more German than English upon arriving, she quickly assimilated the language and culture of America. At the end of the year, before she returned home, two teachers stunned her with a surprise farewell gift. After finishing high school in Slovakia, she received a full scholarship to Williams College, entering as a freshman in 1997. Tothova was always attracted to human biology and health, and this interest deepened when, early in her college years, her mother, a non-smoker, was diagnosed with advanced lung cancer. Her death was devastating, but the Williams community “felt like a family and was incredibly generous,” during that difficult time, she reflects. Named valedictorian in her senior year, Tothova used her class speech to read a letter to her mother about her experiences at Williams. After college, Tothova undertook the MD-PhD program at Harvard and MIT. Again, mentors were influential. Her advisor, Gary Gilliland, MD, PhD, then at Brigham and Women’s Hospital (BWH), and now president of the Fred Hutchinson Cancer Center, specialized in hematological malignancies, “which became my life passion,” says Tothova. 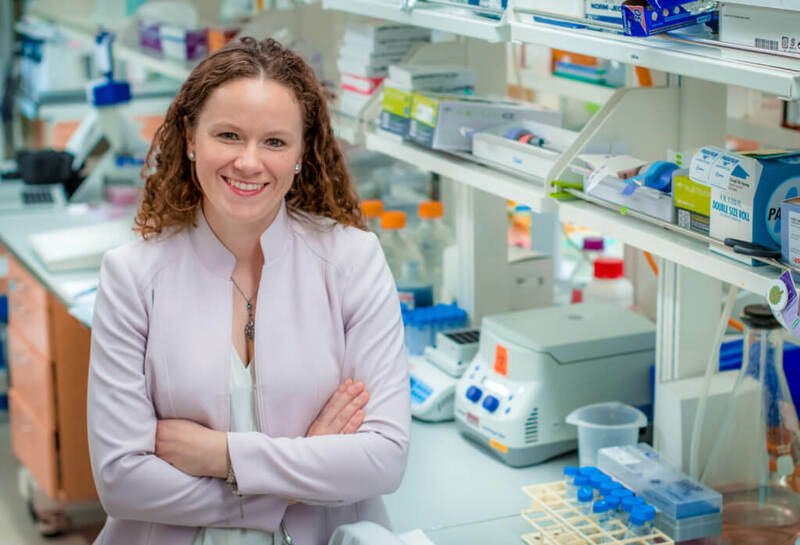 “Zuzana was an outstanding graduate student who epitomized the qualities that will make her an exceptional faculty member and physician scientist, including a brilliant mind, hard work and perseverance, superb collaborative skills, and an unwavering focus in her laboratory work on patients with hematologic malignancy,” says Gilliland. Even now, she maintains close ties with the many influential figures who helped her– including the family she lived with while an exchange student in New Jersey. And as for her native country, Tothova says she returns to Slovakia at least twice a year, visiting her father and one of her two brothers. “One of my brothers is a mathematician and the other is an economist. They think my choice, medicine, is the ‘soft science’,” she says, with a laugh. I found your story so interesting. I commend you for your research on these 2 diseases, so patients in the future will hopefully have more options for care and recovery!